A unique and irreplaceable technical book for the Saffron Farmer. This book will provide you with a thorough understanding and precious know-how for facing any challenge in your practice. Its contents, updated each year, differ from those of La Bible du Safranier because the 2 books do not aim at the same goal. 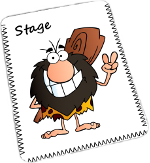 Much more technical, exhaustive, and detailed, it is designed for professionals and project holders, contrary to La Bible du Safranier, also aiming at the general public. 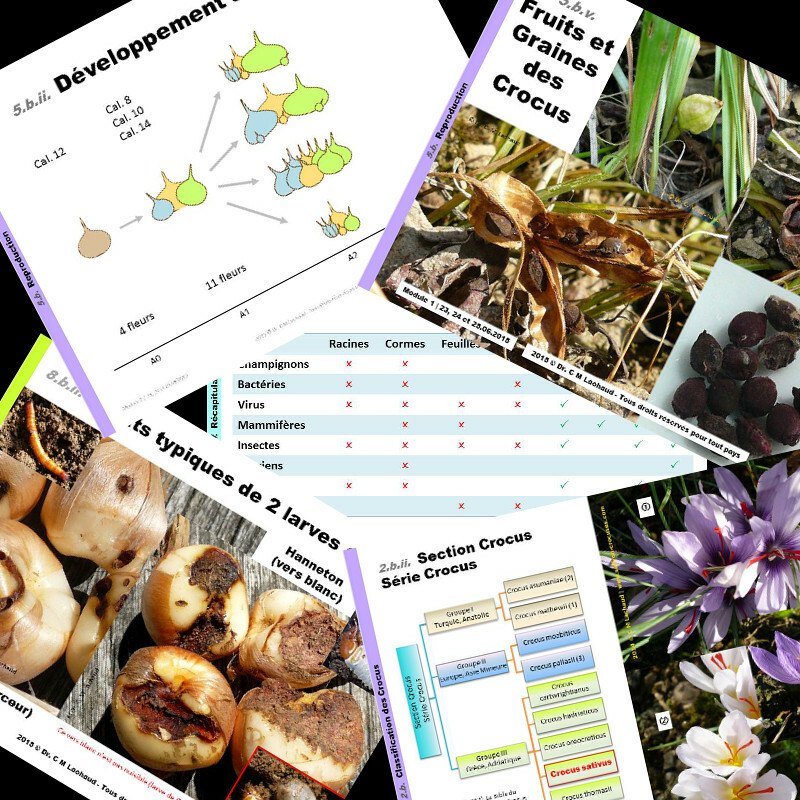 The Saffron Farming Course Prints contain the 450+ PowerPoint slides of the Full Training Program. 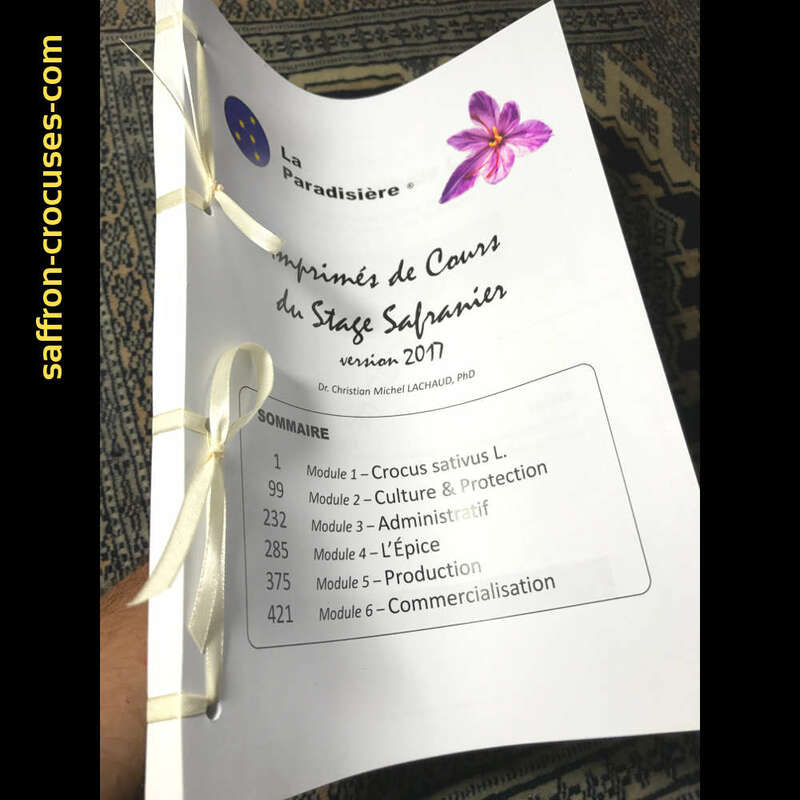 More than 450 slides including all the theoretical content of our Saffron Farming Training Program except Practical Exercices and Videos. 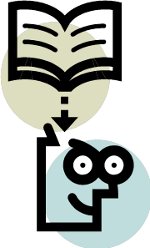 Information content is dense, rich and highly structured (texts, tables, diagrams, photos, and many external references). 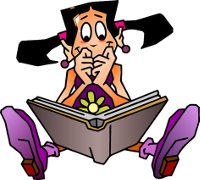 Aesthetics is worked together with practicality, making the reading pleasant and intuitive with optimized navigation. High-quality color laser printing, double-sided, A4 white 80 g.
2 slides per page, good readability. The book is organized in 6 parts easily distinguished by page border colors, one part per Theoretical Module. Spiral binding for easy reading and storage. 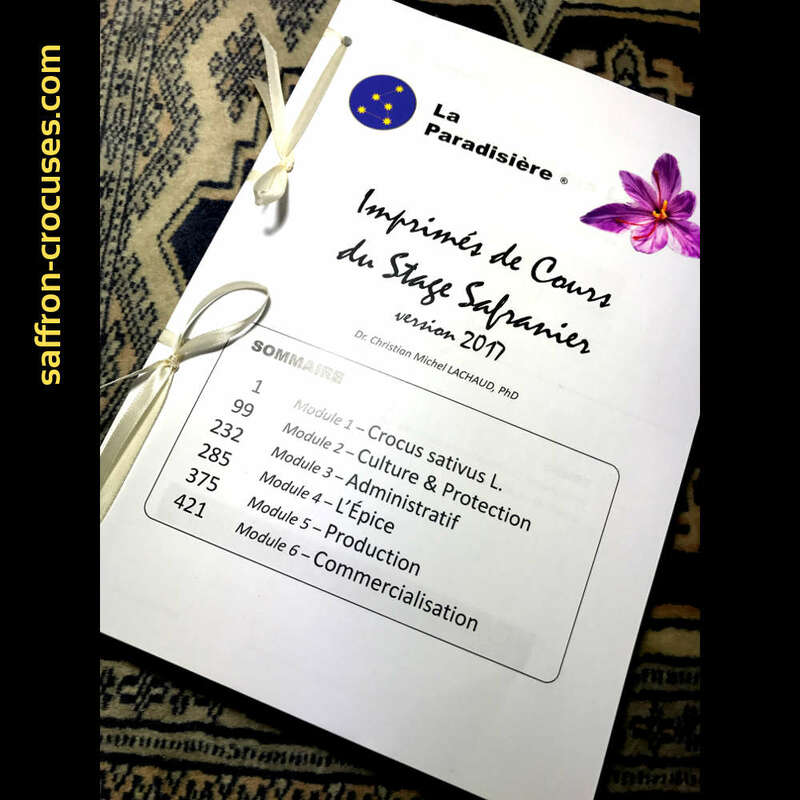 La Paradisière's Saffron Farming Course Prints is a copyrighted book. It is printed on demand with personal information of the future holder printed on it. It is provided for strictly personal use - private or professional. ANY REPRODUCTION BY ANY MEANS OF THIS MATERIAL IS STRICTLY FORBIDDEN. Refer to the Section 4.5.3. of our Terms for more détails.